Dandelion is more of a spring plant but you can still find young ones growing in the shade of your other plants. 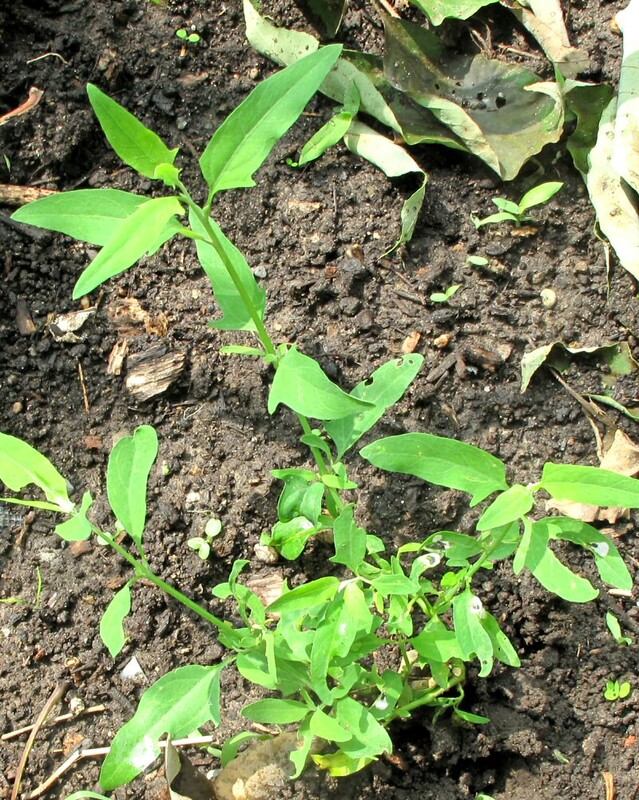 The young leaves are best enjoyed raw in a salad; if the leaves bleed milk when harvested, they will be more bitter. Don’t confuse with chicory, which is abundant in Oakvale Green and can be distinguished by it’s leaves having no hint of redness on the stem and the stem having small hairs (it is also edible but not recommended here). Lamb’s Quarters (a.k.a. goosefoot) grows in profusion from early to mid summer. It is easy to identify because the leaves, and especially the young ones, are covered in a sandy powder. 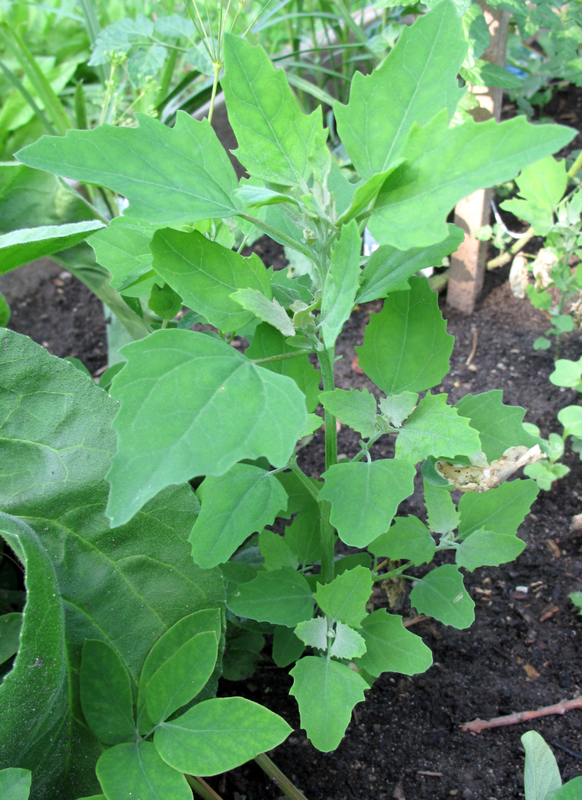 Lamb’s Quarters can be treated just like spinach; the leaves are a little acid to eat raw but once boiled (and then fried with garlic and onions!) it becomes sweeter. Seeds can be harvested in the late summer if you’re up to that; quinoa is closely related to Lamb’s Quarters. Don’t confuse with spreading atriplex, which i don’t believe is worth eating (orach is an edible atriplex but not generally a weed). Amaranth (a.k.a. pigweed) comes in many varieties, with the most common being redroot pigweed and green pigweed (the two are pretty hard to tell apart). This is a hot-weather plant and can be found from mid to late summer (seeds can be harvested in the autumn). 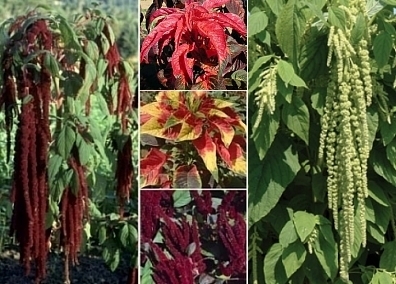 Cultivated varieties of amaranth are grown specifically as a vegetable all over the world and some hybrids have been developed as ornamental plants. 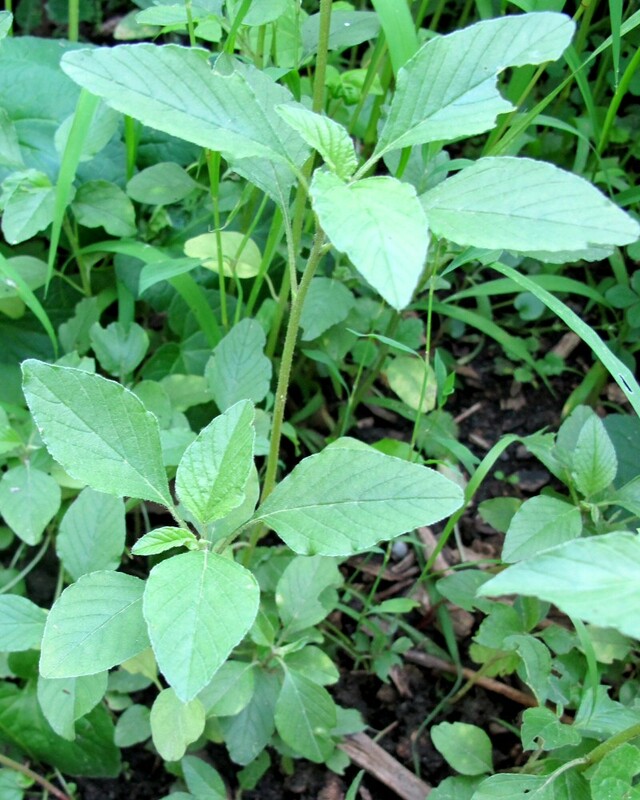 Cook amaranth like spinach although it is a bit hairy and coarse even after cooking, which some people may find odd; it is not recommended to eat raw unless you are putting a few very young leaves in a salad. 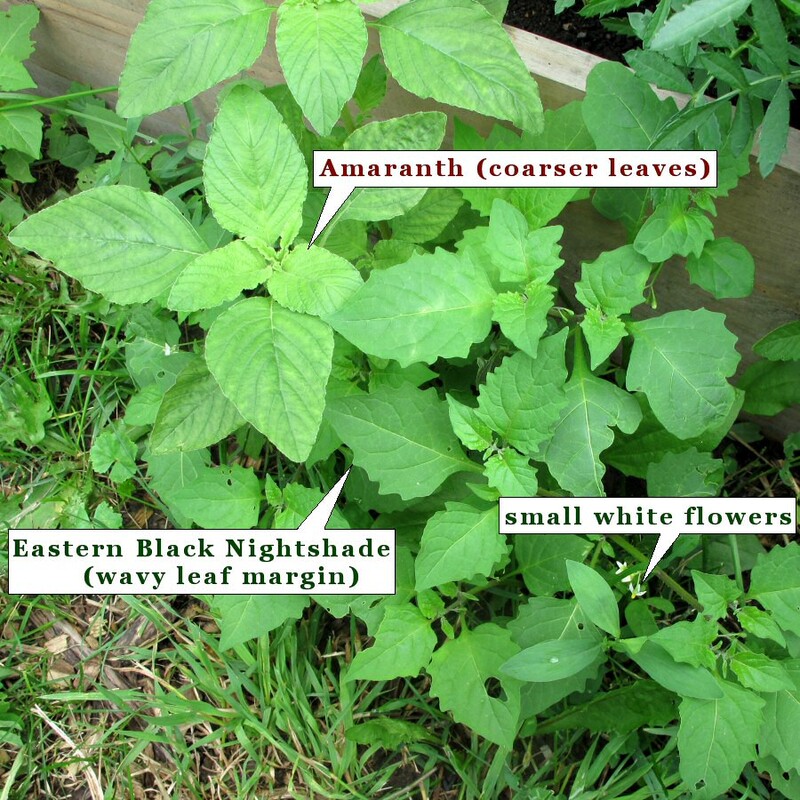 If you’re unfamiliar with the plant, there may be a chance you can confuse with Eastern Black Nightshade but nightshades are very unpalatable so it is highly unlikely you can eat enough to make yourself sick. Purslane is an ancient and widely-eaten vegetable in southern Europe and Asia; i’ve heard it was actually brought over from Europe as a garden vegetable but apparently has since been abandoned and is now disregarded as a weed. Pick the individual leaves, avoiding the seedheads at the end of branches. You can fry it, boil it or just eat raw in a salad (if you’re cooking purslane, it will shrink considerably since it’s mostly water). 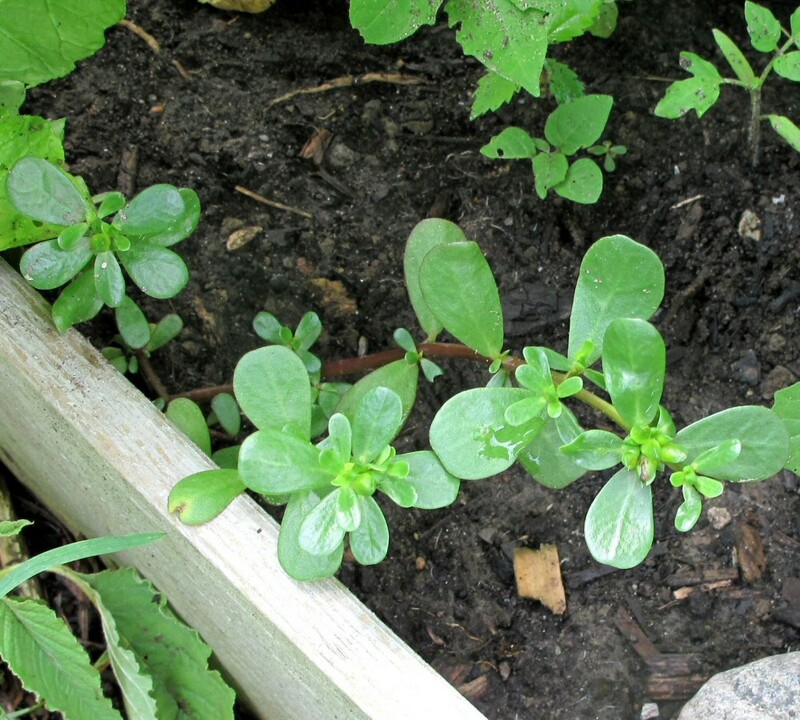 Unless you really don’t want this in your garden, purslane can also make a nice companion plant by shading the soil and penetrating the soil deeply with its long (but little) taproot. 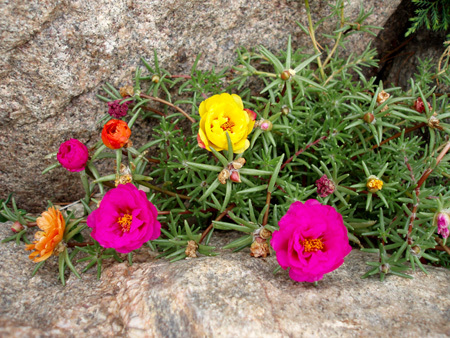 Purslane is a wild portulaca so you may see the resemblance with cultivated Portulaca (Moss Rose) sold as a bedding plant. Wood Sorrel is a tasty snack in the garden. 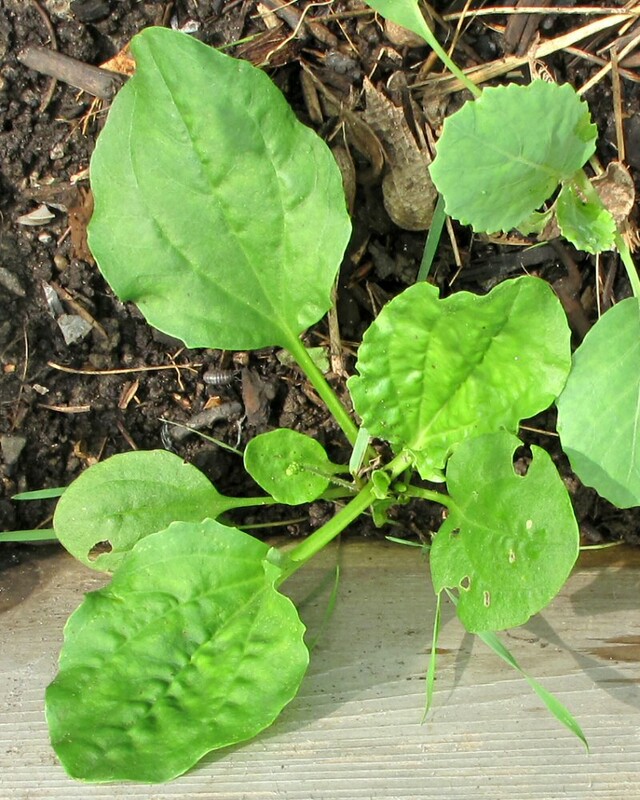 Take a few leaves and just munch on them; they have a sour flavour, like sorrel, and therefore make a good addition to salads. Kids love to munch on them. 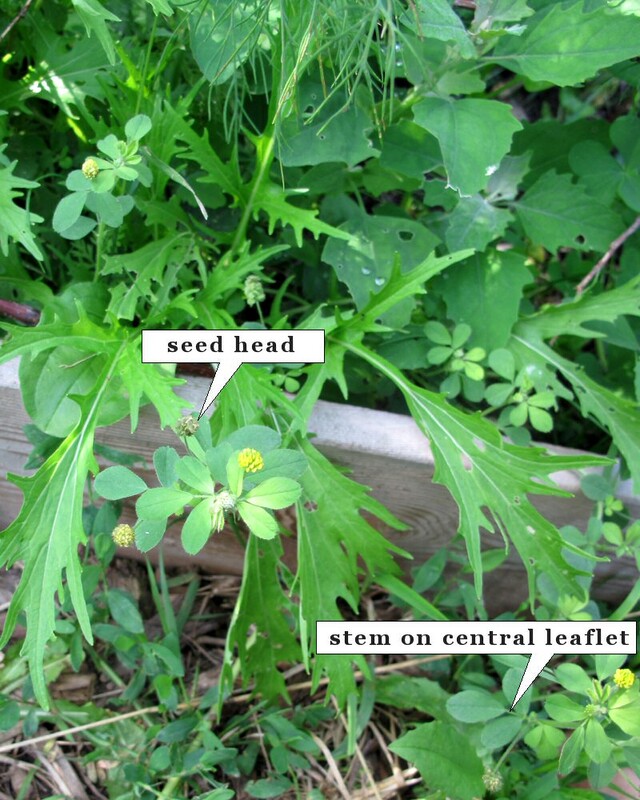 It may be possible to confuse wood sorrel with black medick, but black medick can be distinguished by the center leaflet having a small stock and the leaves not having a sour taste (no worries, black medic is edible, just not tasty). 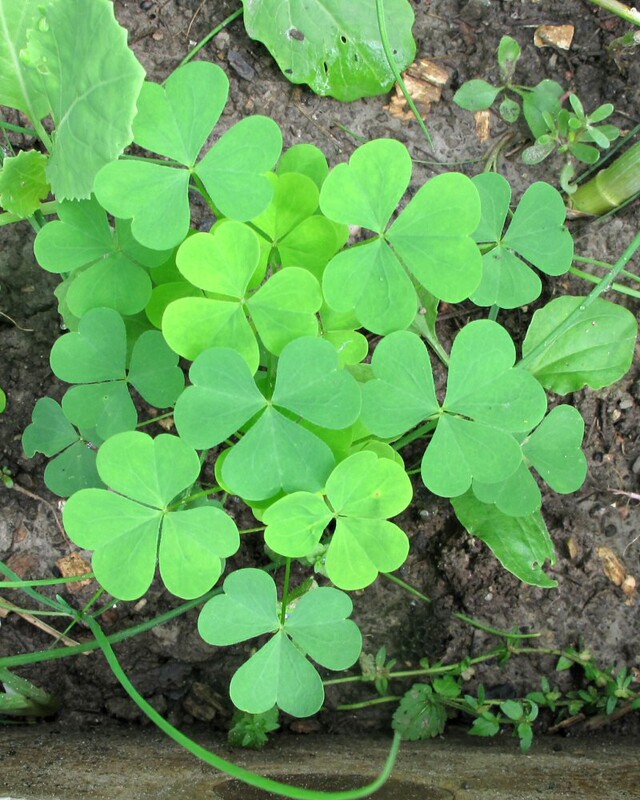 Wood sorrel, like clover and black medick, is a legume so the roots can return nitrogen to the soil when they decompose (cut roots off and throw them back in the garden). Plantain is a bit more of a specialty item since the flavour is a bit too nutty for some people; it tastes a bit like Jerusalem artichoke, which is related to sunflower so that’s the general flavour. Pick the small leaves that have no strings inside the veins and break off the plant easily. Plantain can be cooked like spinach or used in a salad (in moderation if you aren’t familiar with the taste). This is a European plant in origin and is also known as Whiteman’s footstep’s (likely because of how readily it spreads into new areas). 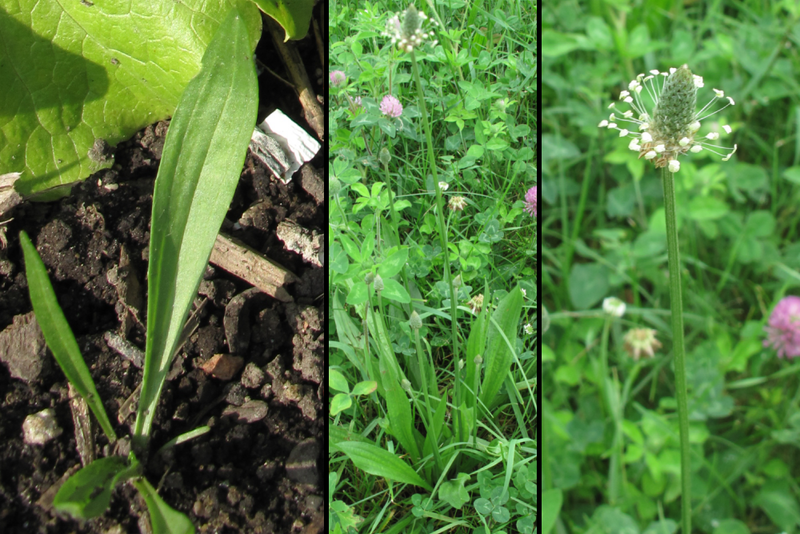 There is a related species, narrow-leaved plantain which is easy to distinguish by its long, narrow leaves and should just be avoided since it is rarely tender or tasty. 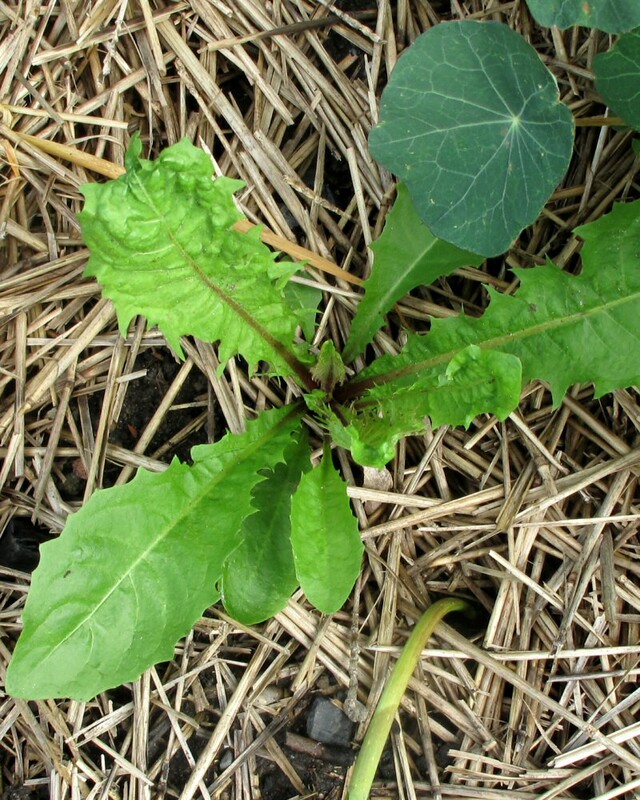 Probably the main difference in harvesting edible weeds is that you need to get them when they are young since, as weeds, they developed to produce seed not succulent leaves for you to enjoy. So pick young, pick often, remove branches rather than the whole plant, and when the plant gets too large to bear, pull it out. [image.jpeg] This is Matt’s wild Cherry from urban harvest. Came up from seed from last year. It gets very big and is very productive. I think it would survive a transplant no problem. Anybody want him or can suggest a place for him? He’s taking over my lettuce patch.